Many women have used doxylamine succinate, commonly known as Unisom, combined with vitamin B6 and have noticed a dramatic decrease in morning sickness symptoms. 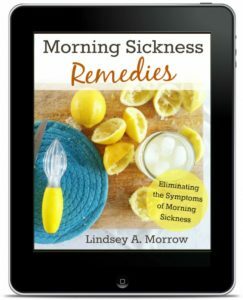 Friends of mine even call Unisom and B6 “the wonder cure” for morning sickness. Before we talk more about Unisom and B6 for morning sickness, let’s talk about pregnancy, medications and safety. To better understand the next section, it will be important for you to know that the FDA has established five categories to indicate the potential of a drug to cause birth defects if used during pregnancy. The categories are determined by the reliability of documentation and the risk to benefit ratio. The FDA does not take into account any risks from pharmaceutical agents or their metabolites in breast milk. Category A, the safest category, means that adequate and well-controlled studies have failed to demonstrate a risk to the baby in the first trimester of pregnancy (and there is no evidence of risk in later trimesters). The Unisom and B6 combo can be accessed via a prescription from your OBGYN or family practice doctor. This prescription is a delayed-release combination of vitamin B6 (pyridoxine) (10 mg) and an antihistamine called (doxylamine succinate), or as it’s normally called, (10 mg) Unisom. In the US this medication is called Diclegis®, formerly called Bendectin®. For many years the FDA would not re-approve Bendectin® for pregnancy, while the rest of the world was able to take advantage of it. In 2013 they changed their minds and Unisom and B6 was brought back to the market with a new name – Diclegis®. In other parts of the world Unisom and B6 is called Diclectin®. Diclectin® has been on the Canadian market for over 30 years with great results. No matter what you call it, this prescription medication is category A meaning that it is safe. If the Unisom and B6 combo is not available in your area, or it’s too expensive this is how to make your own. Instructions: Before bedtime take half of a Unisom (they are packaged in 25 mg scored tablets) along with the vitamin B6. If that is not effective increase the Vitamin B6 to 25 mg, 2 times per day. If that is not effective increase the Vitamin B6 to 25 mg, 3 times per day. If that is not effective consult your doctor. *You shouldn’t take more than 100 mg of vitamin B6 per day. Also, check your prenatal vitamins to see how much B6 is in there before you buy any additional supplements. There are products out there like B-natal that combine a tasty candy with 25 mg of vitamin B6 in each piece. B-Natal makes cherry lollipops and green apple flavored lozenges. Preggie Pops makes a “pops drops plus” which is similar to their normal pops drops, but this one has 10 mg of B6 per piece. I’ve tried these and they are amazing. They’re the perfect balance of sweet and sour. Totally takes the edge off of morning sickness immediately. Of course, you could always eat more foods that have vitamin B6 in them. Our bodies absorb vitamins much better when we get them through food and not synthetic products. Here are some food ideas that are high in vitamin B6. However, if you can’t keep any food down, sucking on a B-Natal lollipop is better than nothing! And of course, if you are experiencing extreme nausea and vomiting do not let yourself get dehydrated. Please seek medical help! You might not have morning sickness but hyperemesis gravidarum. I tried unisom and B6 in 2/3rds of my pregnancies and I thought that of all the things I tried, this made the biggest impact. I had no negative side effects at all and both my children were born healthy and well. A positive side effect was that I slept really well at night. I think getting good sleep helped me to be more functional during the day. Leave me a comment and let me know your experience with Unisom and B6. The more stories we can share, the more women will feel better! My insurance will not cover diclegis. I’ve purchased 25mg unisom which I can break in half and 100mg b6 which I’m break in half as well and also search for smaller dosage. My question is when do I take these meds? I see you’ve mentioned before bed. I have a friend on diclegis and she takes one in the am on an empty stomach, one mid day also on an empty stomach and before bed. Should I follow this regimen? Also, should I stick to an empty stomach? The prescription form of this is a delayed release, so it would have different dosing instructions than this. My OB also said 1/2 unisom and 25 mg b6 before bed. Then 25 mg b6 in the morning and at lunchtime. So I got 3 doses of 25mg b6. As far as I can find, Unisom is category B, Which makes it just a little more difficult for me:/. However, Diclegis is a category A. Category B just means there aren’t any human studies so they haven’t specifically studied Unisom in pregnant women but they have studied Diclegis which has the same drug in it as Unisom and that was found to be safe. Hi! I found this blog post at 4 O’Clock on a terrible night last week. I have been nauseated, exhausted and miserable for about two weeks. Unable to do my job or any housework. Nothing other than laying on the sofa trying to imagine foods I could stomach and running out of possibilities. Anyway, I tried the Unisom last night as you explained, and took the b6 this morning and today has been a whole new world for me. THANK YOU! Now that I know the power of this magical cocktail, I will take the b6 at night and bring a second to work. But you have given me my life back! Thank you! Thank you! I can’t wait to try this as diclegis is far to expensive with my insurance. Crossing my fingers it works. Is the unisom and b6 safe to take if I am breastfeeding a 1 years and 7 weeks pregnant? Unfortunately, unisom is not safe while breastfeeding. This is the current boat that I’m in. I will have to wean to use this. If I’m currently taking 2 10mg Diclegis before bed time , what dosage of unisom and b6 would I take ? I can’t get a refill of the Diclegis till I see a doctor and without it I’m constantly puking & can’t keep anything down . I really wanna try the unisom and b6 . What is I am most nauseated in the evenings? 6:30 and all through the night. When should I take this? I was having horrible nausea and vomitting, all day every day. It’s really unpleasant and frustrating, but even more so exhausting tossing your cookies every hour. No energy from food, and the physical effort it takes to vomit…. ugh. I was a mess. My doc called in a prescription for Diclegis. I was hesitant to take it at first, but I needed relief. Glad I did. While I still get nauseous and experience at least one bout of dry heaving or vomiting a day, it’s nothing like what I was dealing with before. I can actually go to work and be functional. Eating every 90 or so minutes, trying to stay hydrated, and limiting myself to pretty simple foods has helped as well. This first trimester has been tough. Growing a human is hard work! what about using a slow release formula b6 with the unisom? i found one on amazon only thing is its 500mg…..